Samsung to launch its Galaxy S9 phone with latest tech features of bezel-less display: the phone is expected to have 90% screen-to-body ratio. Samsung with SamMobile is looking forward to using enhanced technology in its next release of smartphones. It has been focusing on producing bezel-less phones that may have a screen-to-body ratio of 90% approximately. While the ratio endured at 84% in Samsung Galaxy S8+, the next launch of Galaxy S9 is expected to be even better. Though there is no official news concerning the launch of Samsung Galaxy S9, it was scheduled for its sale in the market in March 2018. 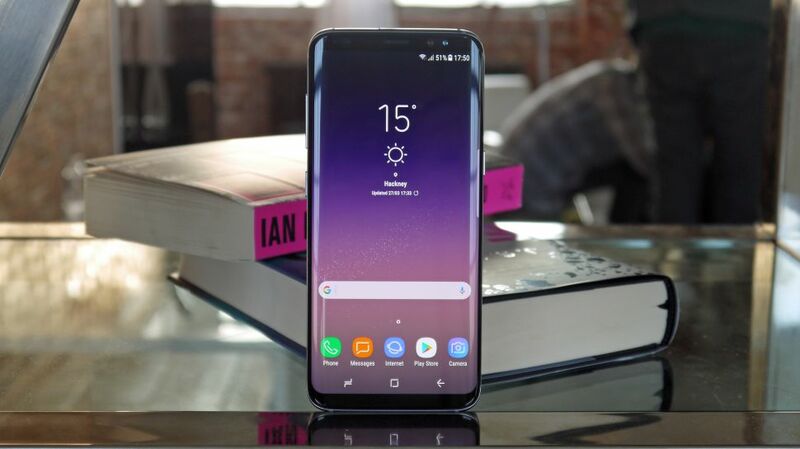 Rumours state that the smartphone Galaxy S9 comes with an infinity display, begetting an improved camera and the latest hardware and software technology. Reports show that the phone will have slimmer bezel compared to the Galaxy S8 and S8+. The phone shall have a screen-to-body ratio reaching up to 90% ratio. The Galaxy S8 and S8+ came in orchid gray color. Let’s see which ones are there for the descendent now. With an edge-to-edge display, the phone is on the verge to beat the likes of iPhone X which has the screen-to-body ratio of 82%. The year 2018 will further continue with the bezel-less phones trend. In fact, it shall come up with many more launches during the year. Samsung makes sure to be one of the prominent competitors in the market with a real full-screen design. According to the rumors, the phone will have the Super AMOLED Infinity display. Galaxy S9 will have a 5.8-inch screen. The next launch of the series S9+ will have a 6.2-inch screen. Powered by the Snapdragon 845 processor, Galaxy S9 will have 4GB RAM. S9+ will have a capacity of 6GB RAM. Samsung will adopt the Apple’s Face ID technology in its latest phones. It will add various other features too to the launch of these phones. The series, Samsung Galaxy S9 and Galaxy S9+ are due for launch early in 2018. The phone initially scheduled to launch in March 2018, is now due for launch early in January. The market and the Samsung fans are keen for this new launch with the latest attractive features.